In Edinburgh, as well as in more than 350 cities in the world, DotTransfers is a guarantee of excellence in limousine services. 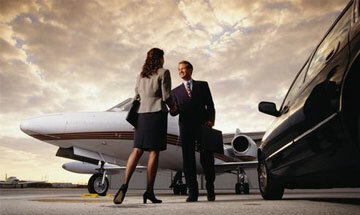 The largest service of chauffeured cars in Edinburgh. In Edinburgh, as well as in more than 350 cities in the world, DotTransfers is a guarantee of excellence in private transfers. 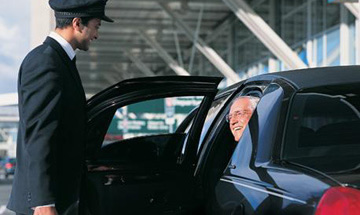 Our experienced Chauffeurs will ensure that you have a safe and comfortable transfer. Our specialities are Edinburgh Executive Car Service, Edinburgh Ground Transportation, Airport Group Transportation, Edinburgh Sedan Service, Edinburgh Airport Transportation, and more. Hire the best private car service for airport transfers in Edinburgh Airport (EDI) and all your ground transport services in Edinburgh. Save time in booking your rides and make the best of your experience in the city of Edinburgh. Manage all your transfer services from a single place. DotTransfers is a global platform that improves ground transportation bookings. In Edinburgh, as well as in more than 350 cities in the world, DotTransfers is a guarantee of excellence in private transfers. Sit back and enjoy the view: DotTransfers will take care of the rest. Our fleet ranges from standard and executive sedans to auto vans, minibus, vans and buses. Whether you are visiting the city for the very first time or dropping by for a business meeting, at DotTransfers we are ready to suit all your transport and logistics needs in Edinburgh. Planning a trip to Edinburgh? Surrounded by volcanic hills on the southern edge of the Firth of Forth, the city of Edinburgh is Scotland’s impressive capital and enjoys a particularly scenic location. Scots poet Hugh MacDiarmid described the city as ‘a mad god’s dream’, and Edinburgh is definitely one of Europe’s dreamed cities, intimately entwined with its landscape and home to buildings and monuments perched atop crags and overshadowed by impressive cliffs. Stunning architecture and natural geology combine to create a wonderful blend in Edinburgh, giving the city tremendous character. The Old Town area of Edinburgh stands in complete contrast to the highly organized grid of the New Town area, with its orderly Georgian terraces. Popular tourist attractions include the Edinburgh Experience, featuring a 3D film which explains the history of the city; the Royal Observatory Visitor Centre, offering spectacular views across the city and its surrounding area; Edinburgh Castle, one of the most iconic landmarks in the country; and the remarkable Royal Yacht Britannia, now docked in the city after 44 years of Royal service. Edinburgh Airport (EDI) is the main airport serving the city and connects Edinburgh to a number of local and international destinations. Hire the best private car service for airport transfers in Edinburgh Airport (EDI) and all your ground transport services in Edinburgh. Save time in booking your rides and make the best of your experience in the city of Edinburgh. Manage all your transfer services from a single place. Sit back and enjoy the view: DotTransfers will take care of the rest. In Edinburgh, as well as in more than 350 cities in the world, DotTransfers is a guarantee of excellence in private transfers. You will find the solution for your global transfers in only one place. Find out more.